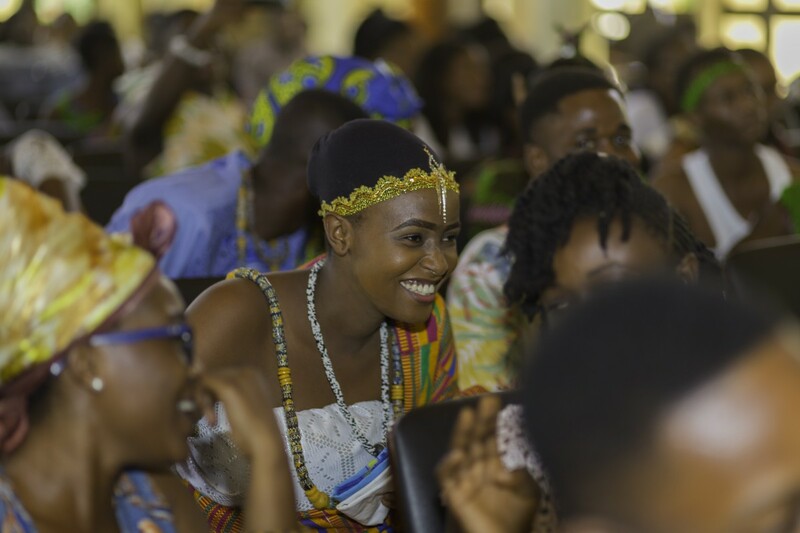 First-year students of PUC have showcased prowess in African culture and traditions to promote respect for cultural diversity as a part of the Introduction to African Studies Course. Held at the James McKeown Auditorium, the event attracted Faculty and staff of the University Community as well as a number of visitors. 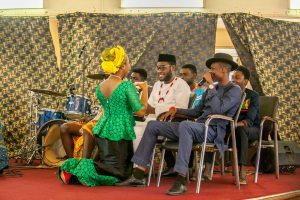 The event provided the members of the University Community with an insight into African culture and values. The students, both local and International, displayed talents in African cultural dances, naming, puberty and funeral rites, folk songs and cultural wear among others. Countries like Nigeria, South Africa, Sudan, Ghana, Togo, Ivory Coast, Benin were seen in different cultural displays and outfits. Some of the presentations by the students were: traditional marriage among the Akans of Ghana, Yorubas of Nigeria, Zulus of South Africa, Agbomes of Benin, Latukas of Sudan and Moslems in Ghana. Naming ceremonies among the Ewes of Ghana; conflict resolution among the Akans in Ghana and oral storytelling (Anansesem). The rest were puberty rites (Bragoro) among the Akans, Kpanlogo Dance among the Gas, traditional foods, enstoolment of a chief and among others. Pentecost University College has a growing number of International students from over 10 African countries and provides an atmosphere for cross-national learning.